New Formula Sets Fast and Dries Clear. Great for wood, paper, cloth - any gluing project. Wet glue cleans up with soapy water. Shatter-resistant plastic bottle with no-clog, twist cap. 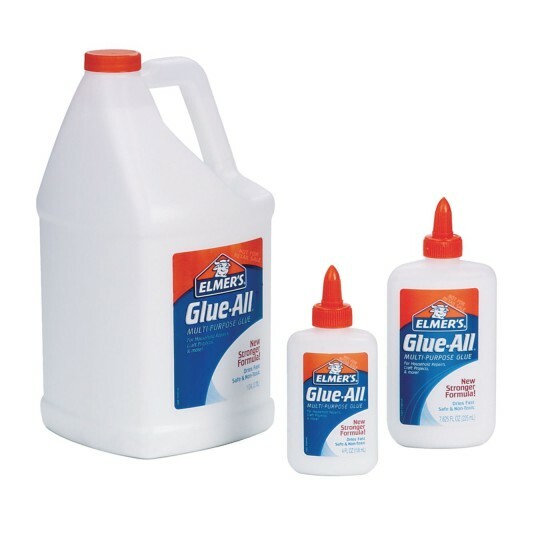 New formula Glue-All is great for wood, paper, cloth and endless gluing projects. Sets fast and dries clear. Wet glue cleans up with soapy water. Shatter-resistant plastic bottle features a no-clog, twist cap. Non-toxic.